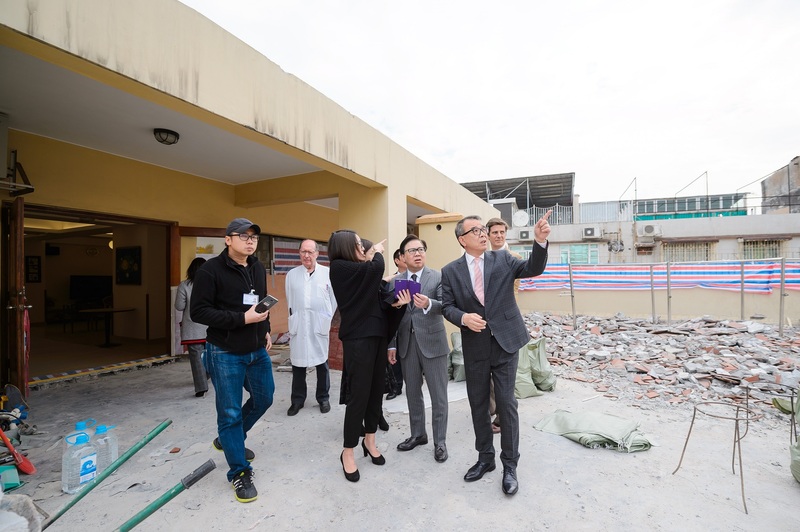 (Macao, Dec. 12, 2017) – Sands China Ltd. presented a cheque for just over MOP 2 million to Macau Holy House of Mercy Tuesday to help with the cost of restoring its elderly home, which was severely damaged when Typhoon Hato tore through Macao in August. Sands China Ltd. President Dr. Wilfred Wong and Vice President of Corporate Communications and Community Affairs Winnie Wong presented the cheque to Macau Holy House of Mercy President Antonio José de Freitas, member of the Fraternity’s Board of Trustees Bruno Nunes, and doctor of the elderly home Rogerio A. dos Santos Tuesday at the elderly home. 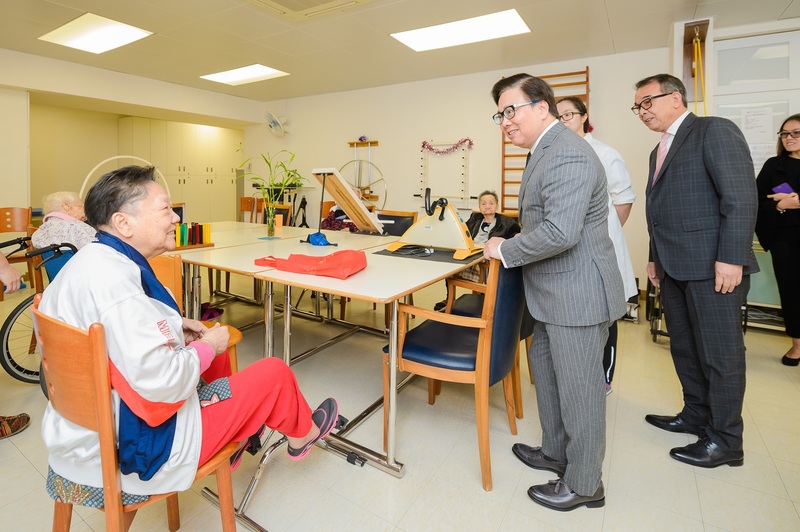 While there, Dr. Wong had a chance to meet some of the elderly residents, and received a tour of the damaged areas that will be restored with the help of Sands China’s donation. Sands China’s post-typhoon disaster relief efforts in the community began in the immediate aftermath of the storm and remain ongoing, with some projects expected to carry forward into next year. 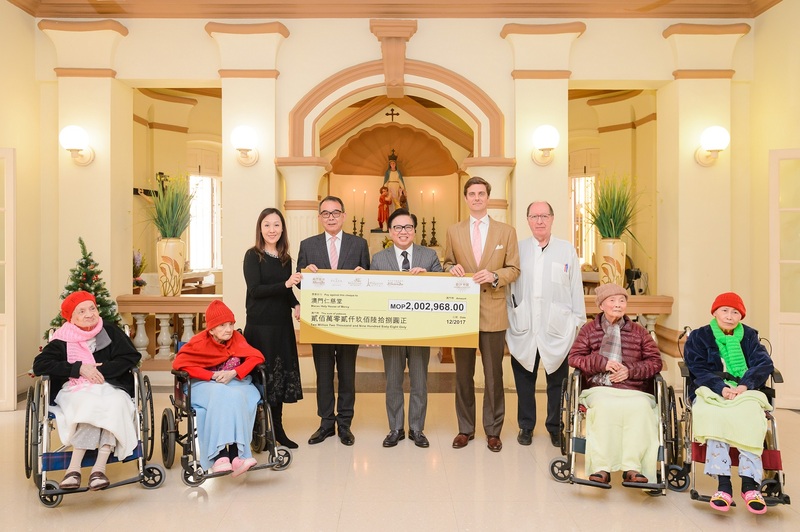 The company’s community work is part of Sands Cares, the global corporate citizenship program of parent company Las Vegas Sands Corp.
cheque to Macau Holy House of Mercy President Antonio José de Freitas (standing second from left) and other representatives Tuesday at Macau Holy Houseof Mercy’s elderly home. 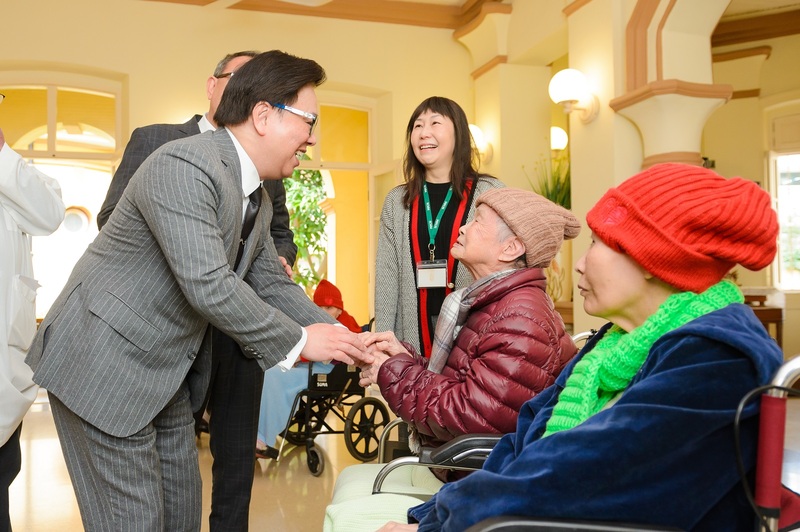 The donation will help cover the costs of repairing the elderly home, which was heavily damaged during Typhoon Hato. Photo caption: Typhoon Hato battered Macao in August, causing major damage to Macau Holy House of Mercy’s elderly home, where it damaged the roof, ceiling and walls. 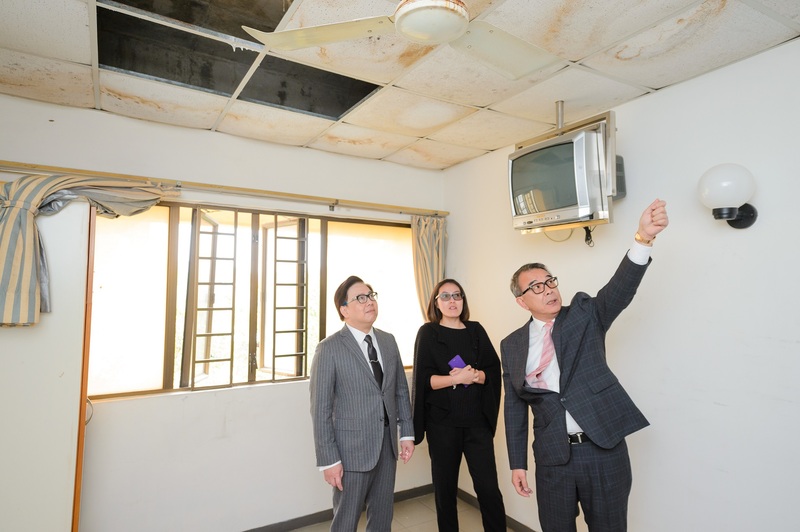 On Tuesday, Sands China Ltd.
President Dr. Wilfred Wong had a chance to meet some of the home’s residents (top), and received a tour of the damaged areas (bottom) that will be restored with the help of Sands China’s donation.